Child Support Category Archives — New Jersey Divorce Lawyer Blog Published by New Jersey Divorce Lawyers — Aretsky Law Group, P.C. New Jersey family law upholds the belief that parents have the responsibility to provide their unemancipated children with support for a college education to the best of their abilities. The Appellate Division of New Jersey recently published a decision that dealt with the question of whether or not the divorced parents of a child who left home at 19 should be obligated to pay her college costs. The New Jersey Child Support Bill signed into law on January 19, 2016, by Governor Christie went into effect on February 1, 2017. The main effect of this new law is that it changes the age at which a child is assumed by the court to be emancipated from 18 years of age to 19. Is your child gifted or talented? If so, you are likely very proud! What you might not know, however, is that your child’s special abilities might lead to higher child support payments. In a recent ruling Judge Jones of the Ocean County Superior Court affirmed that under certain circumstances the Court can deviate from New Jersey’s Child Support Guidelines when calculating child support. Among the reasons for deviation allowed by the Guidelines is a child’s giftedness in a particular area. The case in question was P.S. v. J.S., with P.S. being the father-plaintiff and J.S. being the mother-defendant. They had joint legal custody of their 13-year-old daughter, to whom the judge gave the pseudonym Julie. The mother had primary physical custody, but the father enjoyed liberal parenting time. 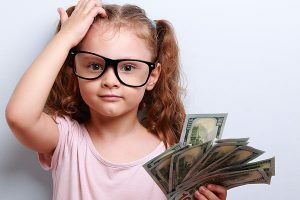 Child-Support Payments in New Jersey – Direct Pay or Probation? Direct Pay or Probation? What’s Best for You? Child support is one of the most important issues to be decided in a divorce or legal separation. Once the calculations have been made, the custodial parent has to decide whether to have the payments go through the Probation Department or to receive them directly from the child’s other parent. Your first reaction might be to assume that direct payment is best. In most cases, however, it is in the recipient’s best interest to receive payments through probation. The purpose of the Probation Department is to protect the child by doing all it can to ensure that the custodial parent receives the funds necessary to care for that child. That’s why the NJ family court judge will automatically order that payments be made through the Probation Department. It is up to the recipient to request direct payments. New Jersey child-support orders should consider the educational needs of the children. Generally speaking, New Jersey courts hold that it is the parents’ responsibility to provide a post-secondary education for their children. In some cases, the court will also issue an order that one or both parents contribute to private or religious elementary and/or secondary education. Aretsky Law Group, P.C., will help you understand the issues involved. We will guide you through the process to ensure that your divorce agreement or modification meets the needs of you and your children. We will do everything we can to come to an agreement between you and your ex-spouse; however, if an agreement cannot be reached, we will vigorously represent you to protect your rights and to enable you to provide the best education possible for your children. We are also able to provide assistance in the filling out and filing of the FAFSA, which is necessary if your child is applying for financial assistance. On March 22, 2016, Judge Lawrence Jones of the Ocean County Superior Court in New Jersey released an unpublished ruling regarding Kayahan v. Kayahan, parent’s dealing with divorce and child support issues. In his ruling he stated that in some cases a noncustodial parent may pay a portion of compulsory child support directly to a child over the age of 18 rather than to the custodial parent. Mr. Kayahan, the defendant, father and noncustodial parent, filed a motion with the court to emancipate his daughter, in which case he would no longer be required to provide child support. Alternatively, he asked that the amount of child support be reduced and that he be allowed to pay his child, given the pseudonym Dina by the judge, directly. Because Dina, who had recently graduated from community college, was about to enter a university as a full-time college student, the judge refused Mr. Kayahan’s request to emancipate her. Citing the fact that Mr. Kayahan’s income had been greatly reduced since the last court-ordered child support obligation was determined, the judge did rule in his favor regarding his request to reduce the amount he was required to pay. However, he ruled against him in his request to pay Dina directly. What is important about the ruling, however, is that he stated that in some cases it would be appropriate to pay a child over the age of 18 directly.